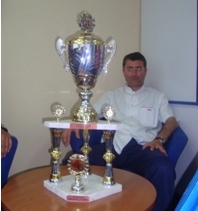 As in previous years, the workers of the Clinical Center of Banja Luka will participate at the workers’ sports meeting of the clinical centers and hospitals from Bosnia and Herzegovina, which will be held from 26th May to 29th May, 2011, in Neum. This year, the host of workers’ sports meeting in Neum is Sarajevo University Clinical Center. The organizer of the fifth meeting of fifth sport event of the health care workers from the Republic of Srpska is the University Clinical Center of Banja Luka, and the event is held in the sports – recreation center “Banja Vrućica” in Teslić.In this sport event were involved 23 health care facilities with over 600 participants. 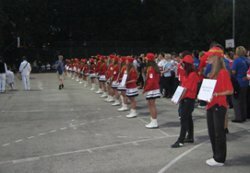 Between 2nd and 6th of September 2010, in sports and recreation center „Banja Vrućica “, Teslic, were held 4th sporting events of health care workers from the Republic of Srpska. The competition was attended by 18 teams from all over the Republic of Srpska (clinical centers, hospitals and health centers), and as the 19th participant in the games were the representatives of the Health Insurance Fund of the Republic of Srpska. The competitors of the Clinical Center of Banja Luka were the most numerous and have participated in all sports disciplines, with 60 participants. The Management of the Clinical Center has actively participated in preparation of the employees for this event. Employees of the Clinical Center of Banja Luka returned from fifth sports meetings of clinical centers and hospitals held in Neum, Bosnia and Herzegovina during the period from 27th of May to 30th of May, 2010. Although much weakened, in some sports they were able to achieve significant results and take third place in the overall standings of 23 teams participating.